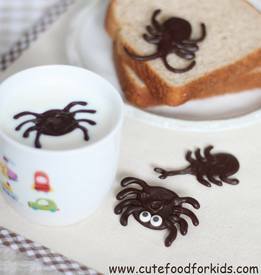 Chocolate Bugs Are Easy And Fun To Make, And You Can Use Them To Decorate Almost Any Kind Of Dessert. You Can Easily Turn A Cupcake, Pudding, Cookie, Rice Krispie Square.... Into A Fun Halloween Treat By Place A Bug On It!